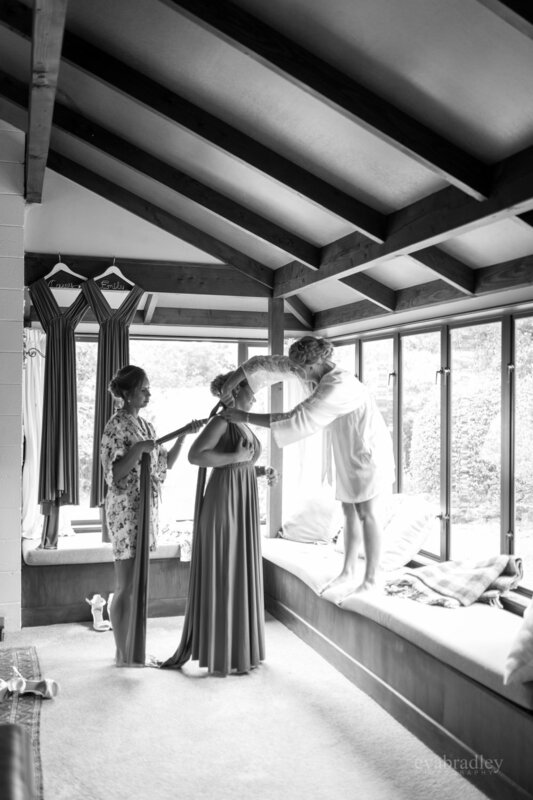 The first thing I ask a couple when they are considering working with us on their wedding day is ‘what elements are most important for you?’ This helps me understand who they are as a couple and how Andrew and I can work with them to create bespoke photography that reflects all their priorities. 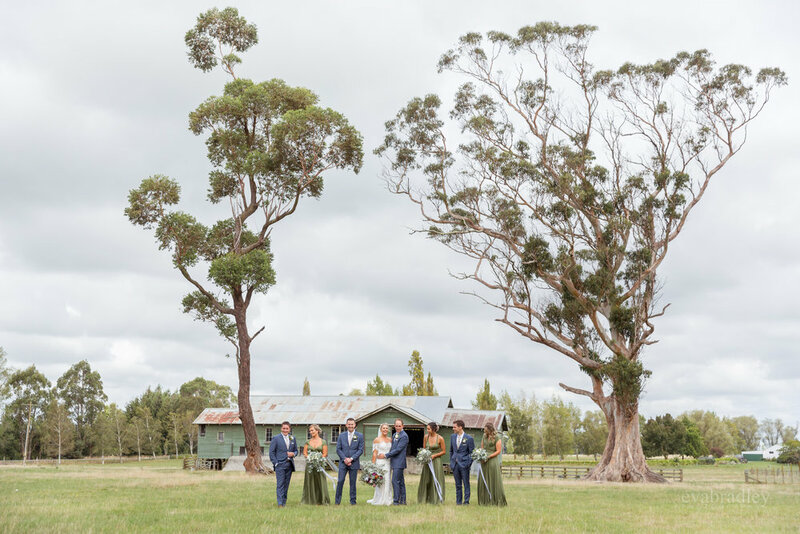 Every couple is different but the ones we enjoy working with the most talk about a sense of celebration and a focus on friends and family ahead of styling and colour schemes. Russ and Charlotte’s Central Hawke’s Bay wedding at Taniwha Daffodil Gardens ticked every box imaginable for a beautiful rustic country wedding. But it wasn’t the thoughtful (and mostly hand-crafted) styling that gave me the warm fuzzies. It was the genuine sense of joy, connection and warmth that came from Russ and Char and spread like warm caramel over the entire day and everyone who had contributed a part in making it perfect for them. Charlotte is a designer so the lead-up to her day had been huge, given almost every single styled element had been created by her and a loyal little army made up of friends, family and fiancé. By the time I arrived mid-morning on the day, she was finally able to focus on herself and the excitement was infectious. 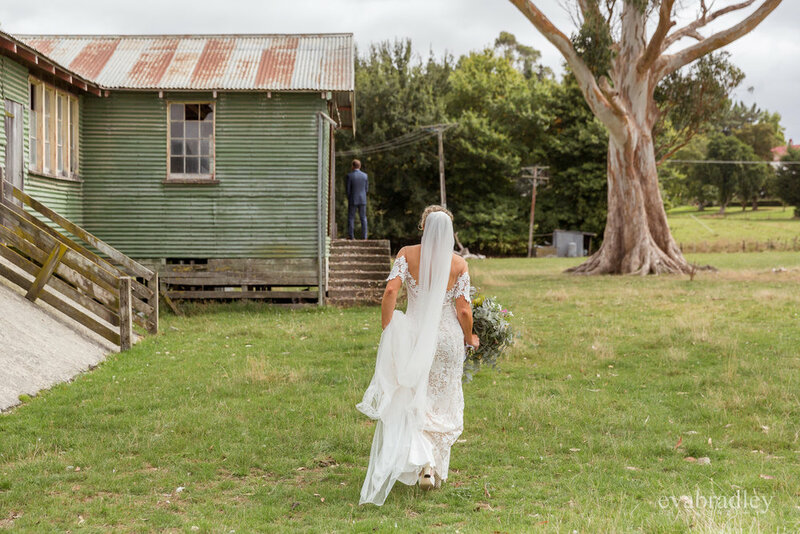 She just happened to be getting ready at Barnsdale Park, where there is the most magical, wild and rambling garden traversing a river gully. 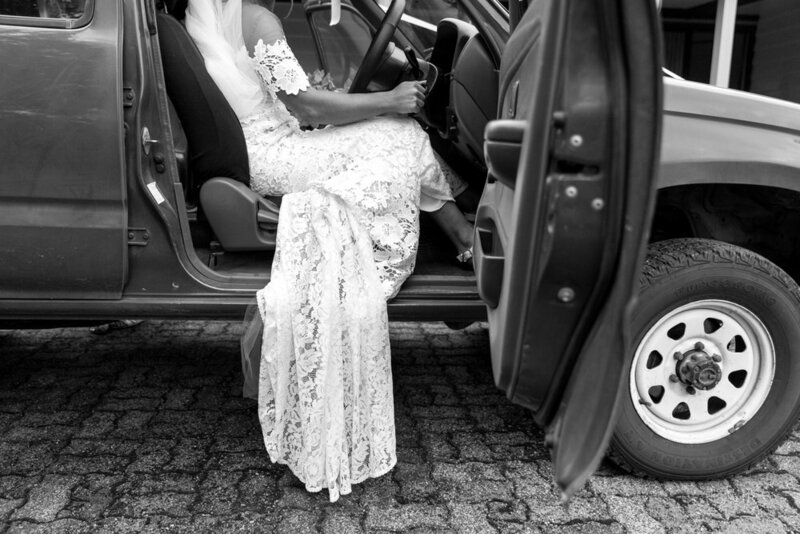 I shot a family wedding there a few years ago and knew just how special the space was, so the girls got ready early, allowing plenty of time to be creative before heading off (as all good country brides do) behind the wheel of the trusty Toyota ute. 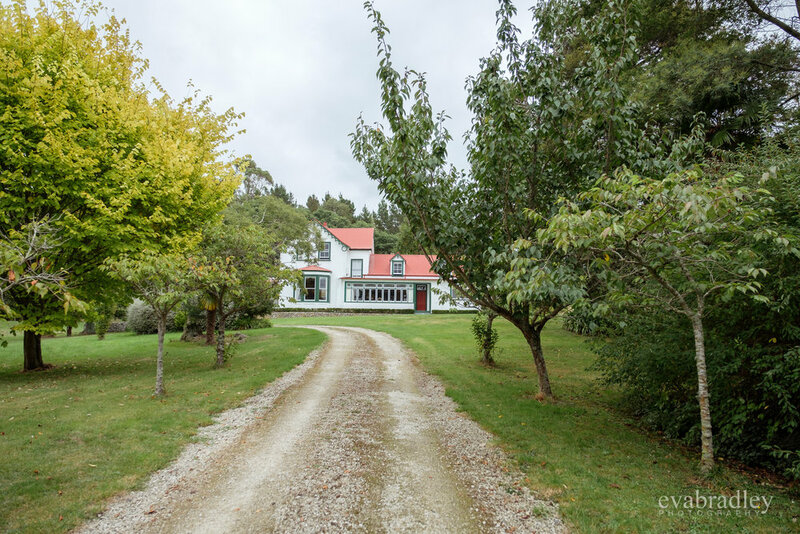 A few farms over, my awesome second shooter Andrew Caldwell was with the boys at another jewel in Central Hawke’s Bay’s crown, Ashcott Homestead. 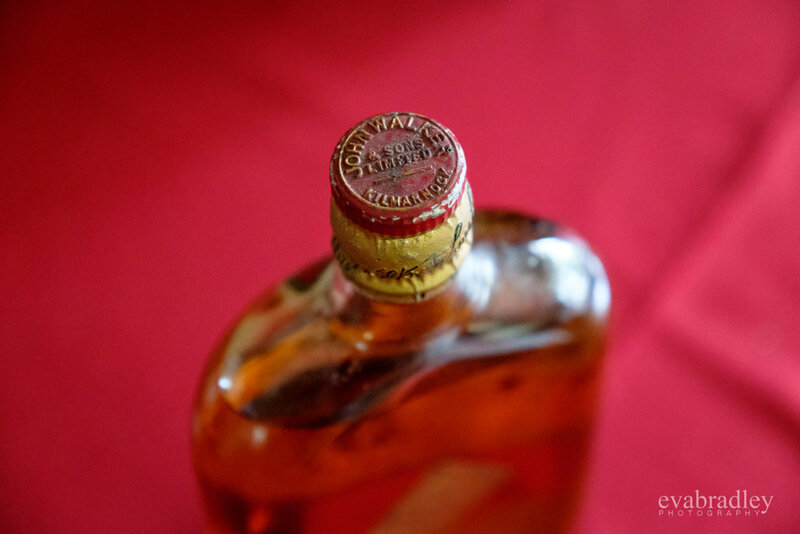 160 years old, it was the perfect location to break the seal on a 120-year-old bottle of whiskey that had been found, long forgotten, in the back of a cupboard at his grandmother’s place. 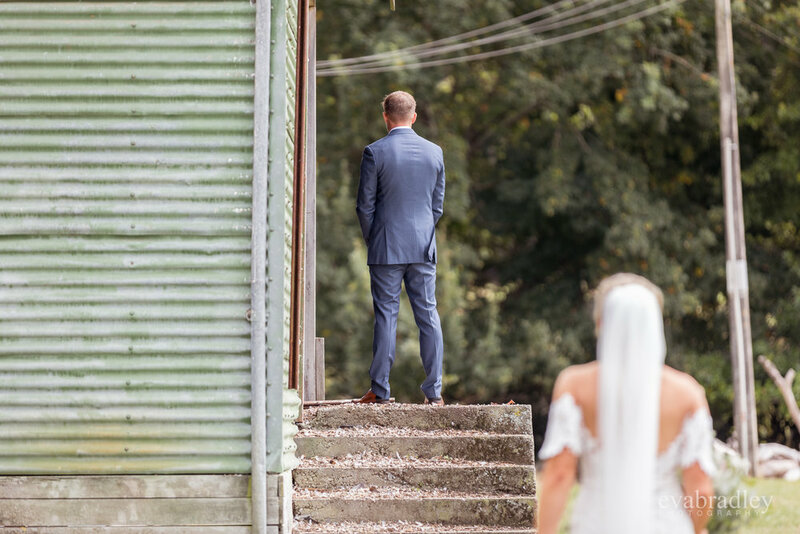 ‘First Looks’ (and then having all the photos before the ceremony) are really popular these days for heaps of good reasons - the couple don’t have to leave their guests and we have a little more time to explore locations further afield. Mostly I love them because it creates a powerfully emotional, private moment between two people and allows them to talk and touch in a way that can’t happen when they meet at the top of the aisle. The down-side is that it does usually mean difficult midday sun to deal with, so we were grateful for a warm but cloudy day. Our style of photography can be summed up in three words; candid, candid and candid. Looking for the 'moments between the moments’ is the reason why Andrew joined me four seasons ago and while I’m directing and working with people (by that I mean telling bad jokes) he’s looking for totally different angles and unscripted stories. I always ask our couples to share a little about the creative session in our blogs because the experience is everything if you want candid photography and it’s hard for us to describe that. Take it away, Char…! Family was a theme for the day right the way through - from the headpiece that had been worn by three generations , to including Grandad’s Massey Fergusson and the family home that was built by him and will one day be Char and Russ’s to raise their own family in. 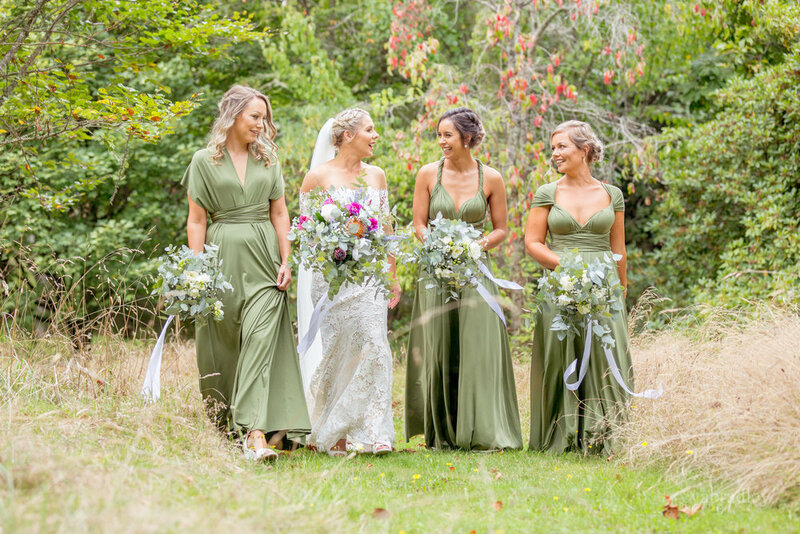 The actual wedding and celebrations took place at Taniwha Gardens, which all locals know for it’s famous daffodils in spring but which was just as beautiful in early autumn when the focus instead was on the large trees and park-like gardens. 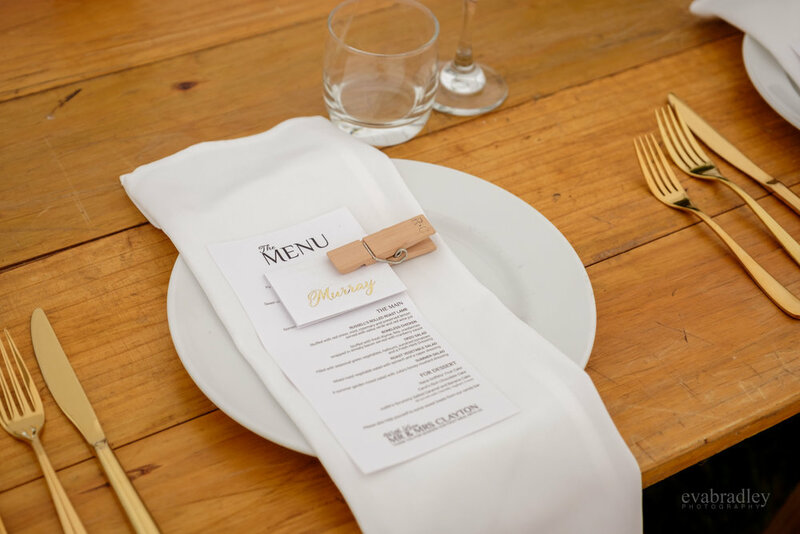 I loved how this wedding was right on-point for style but everything was home-made. Char’s brother (an engineer) whipped up the brass arch, the ladies of Central Hawke’s Bay gathered flowers from the gardens across the district and the two mothers and Nana made the wedding cakes, following traditional family recipes. Char’s dad’s colleagues (the local firemen) were on the bar and vintage wooden chairs from the local rugby club would be the envy of any big-city stylist. Best of all, there was heaps of time for guests to mingle together and enjoy all of these elements and even some time for Char and Russ to sneak off alone (well, stalked by us of course) and reflect on the day before the reception-proper began. 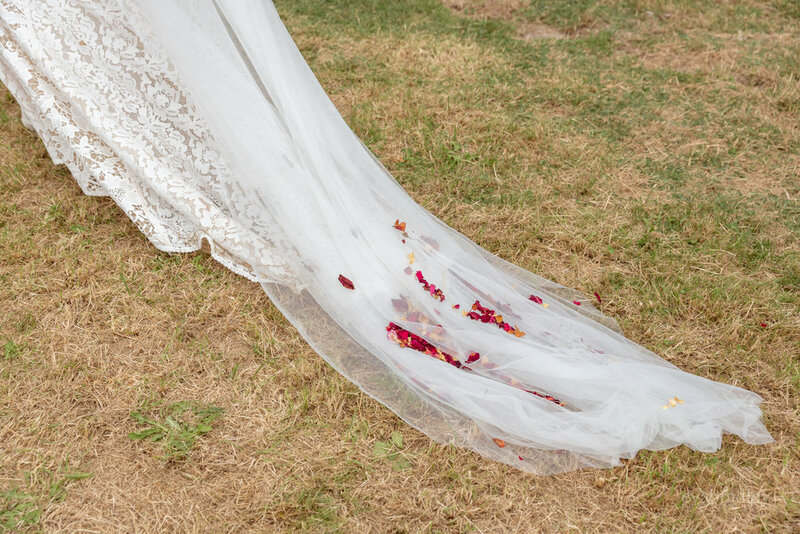 Although Char has a design degree, she believes everyone who enjoys the process of crafting and DIY should embrace it when planning a wedding. Her top tips are to start early and not have a fixed expectation of the end result. “If you are passionate about something it will always work out. You can’t get upset when it doesn’t look quite like the Pinterest picture. After all, it’s your time and effort that has gone into it and that is what makes it so special and unique.” (Although Char quickly adds that having a very patient fiancé helps immensely!). I used to pull long days at weddings, staying through to the end of the reception, but these days because of my little family waiting for me at home, Andrew is the one that gets to enjoy steak every Saturday and seeing his epic reception photos when we combine our captures on Monday morning is always a highlight for me. With a Love light, sparklers and a brilliant ‘how we met on Tinder’ story, I knew this was going to be a brilliant one and I wasn’t wrong. We also shot video at this wedding - it’s our new thing and it’s super cool. Not a creative, full-day thing like some amazing Hawke’s Bay videographers do, but it records the content of the full ceremony, speeches and some dancing in a simple but useful way. We’re still working on that for Char and Russ but tune in later and you’ll hear all about THAT tinder date! Cakes: the mums and Nana.